Natural numbers are whole, non-negative numbers that are used for counting objects. The set of natural numbers is denoted by N.
How many glasses of orange juice do you see? A prime number is a natural number greater by 1, and which can be divided evenly by 1 or itself. A composite number is a whole number that can be divided evenly by numbers other than 1 or itself. 6 can be divided by 1, 2, 3 and 6, so it is not a prime number (it is a composite number). Composite number is a natural number that can be divided by 1, itself or by other positive numbers. 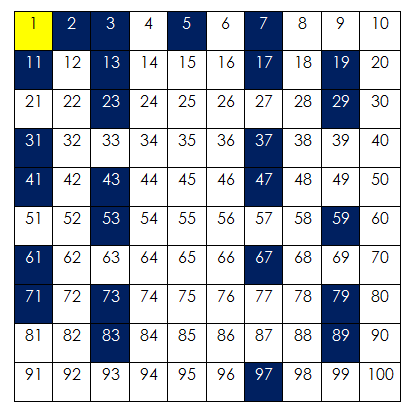 The table below shows the prime and composite numbers from 1 to 100. *1 is neither a prime nor a composite number. Your friend has 20 chocolates and you have 10. Find the prime and composite numbers between 10 and 20. 11, 13, 15, 17, 19 can be divided evenly by 1 or the number itself hence they are prime numbers. So, they are composite numbers. 1. 2478 is a prime or composite number? 2. If the number has only two factors - 1 and itself, then it is prime. 3. If the number has more than two factors, then it is composite in nature. So, going by the above rule, 2478 is a composite number because it has more than two factors and it can be divided evenly (by 2). 2. Is 55 prime or composite number? 55 is a composite number because it has more than two factors and it can be divided evenly (by 5). 3. Is 2475 divisible by 11? 4. Is 217 a prime or composite number? 217 is an odd number so it's not divisible by 2. 2 + 1 + 7 = 10. Since 10 is not a multiple of 3, 217 is not divisible by 3. When you add the digits in 217, it doesn't give 0 or 5 so it is not divisible by 5. Next, test for divisibility by 7. So, 217 is a composite number. A twin prime is a pair of prime numbers that differ by two. 1. Is (197, 199) a twin prime? 197 and 199 are prime numbers, and there is difference of two between these numbers. So, 197 and 199 is a twin prime. 2. Is (599, 601) a twin prime? 599 and 601 are prime numbers, and there is difference of two between these numbers. So, 599 and 601 is a twin prime. Two integers are relative prime or co-prime if the only positive integer that evenly divides both of them is 1 (that is, their greatest common divisor is one). Let us consider the divisors of the numbers 18 and 23. The only common number in these two sets of divisors is 1. So, 18 and 23 are co-primes. 1. Are 3, 8 co-primes? So, 3 and 8 are co-primes. 2. Are 21, 22 co-primes? So, 21 and 22 are co-primes.